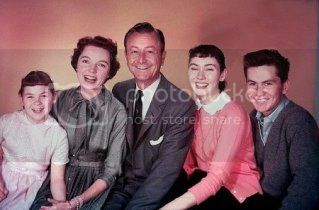 Father Knows Best was an American radio and television series which portrayed middle class family life in the Midwest. 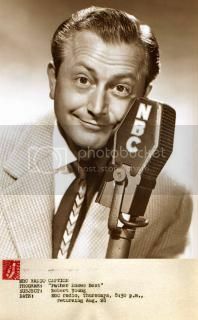 It ran on radio from 1949 to 1954 and on television from 1954 to 1960. 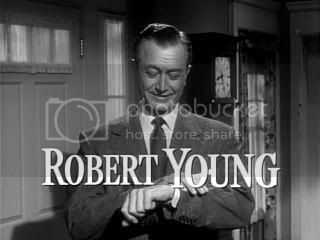 Only Robert Young remained of the radio cast when the series moved to CBS Television. 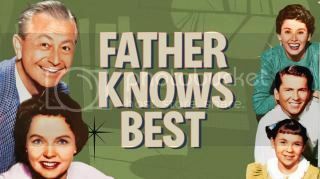 A total of 203 episodes of Father Knows Best were produced. 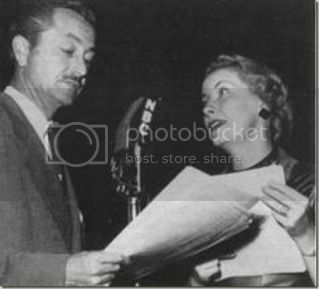 They ran until September 17, 1960, and appeared on all three television networks of the time. 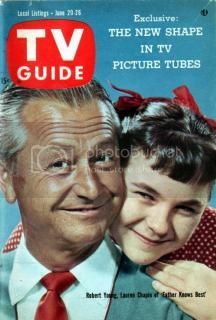 The television show won six Emmy Awards and averaged #6 in Neilsen Ratings in its final year of production. 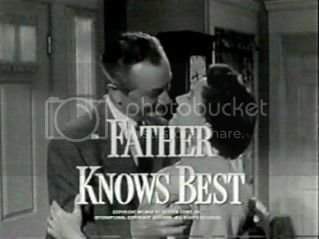 Because of it's popularity, in 1959, the U.S. Treasury Department commissioned a special 30-minute episode of Father Knows Best called "24 Hours in Tyrant Land" to promote the buying of savings bonds. It never aired on television but was distributed to schools, churches and civic groups. The episode is included on the Season One DVD. 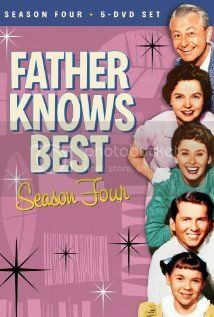 Father Knows Best was so popular that when production ended, it continued on the primetime TV network schedule for the next three years, from September 1960 through April 1963 (no other TV show in history has done that). 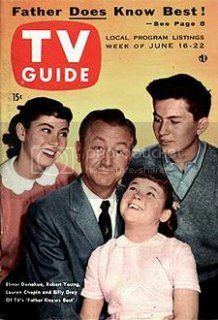 It ran another five years (until 1967) on ABC's daytime line-up. Throughout the decades of the 1970's, 1980's and 1990's it was on local and cable channels. 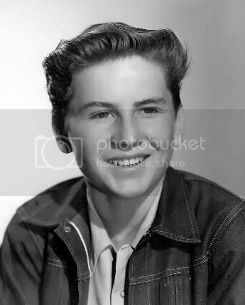 Currently (2014) it is being broadcast on the Antenna TV Network. On November 22, 1963, the third season episode "Man About Town" was being rerun on several ABC affiliates when at 1:42 PM EST, ABC News broke into the program with the first bulletin of the assassination of President Kennedy in Dallas, Texas. 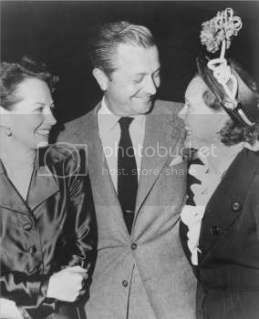 The TV cast reunited for two TV movies on NBC, in 1977.
and Bud and his wife were the parents of a son. 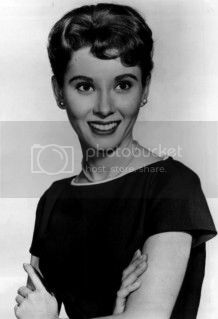 Kathy had become engaged to a doctor. Bud Anderson: You've been around so long and seen so much and done so much, and still manage to look so good. Jim Anderson: Thanks a lot! 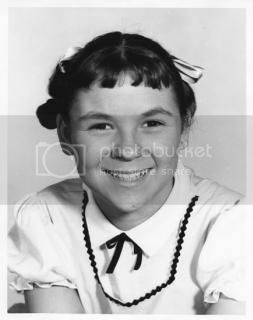 Jim Anderson: Bud, before you have me back in kindergarten, see who's at the door, will you? Bud Anderson: How many were in your class, Dad? Jim Anderson: Oh, 2-300 I guess. Bud Anderson: How many are left? 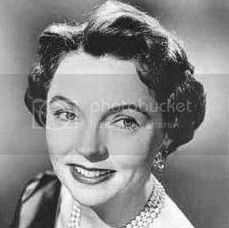 Margaret Anderson: Well, I suppose Father knows best.